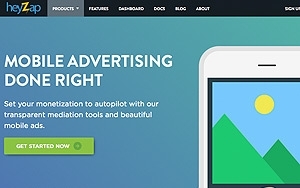 After announcing an intent to acquire several weeks ago, RNTS Media, the parent company of Berlin-based mobile ad tech firm Fyber, completed the acquisition of Silicon Valley-based mobile start-up Heyzap for up to $45 million. The acquisition strengthens Fyber’s already large scale and reach, increasing the company’s 411 million monthly active users by the 130 million that Heyzap brings to the table. Heyzap has created a mediation layer to enable developers to connect with all major ad networks in the space. Campaigns can also be centrally managed on their software platform. The partnership also gives mobile app and game developers access to Fyber’s app monetization tools. An initial cash payment of $20 million will be given, and then an additional $25 million could be earned-out if the company reaches certain benchmarks by 2017. Fyber COO Janis Zech says that the two companies started to compete about a year and a half ago, and when Heyzap started winning deals his company took notice. After competing for almost a year, they started to consider acquisition. Long-term, says RNTS Media CEO Andreas Bodczek, the deal is part of a strategy that “will diversify and broaden Fyber” into adjacent spaces in the ad tech world. How exactly that broadening will look is still unclear, but he says that RNTS’s core business and strategy lies in mergers and acquisitions.